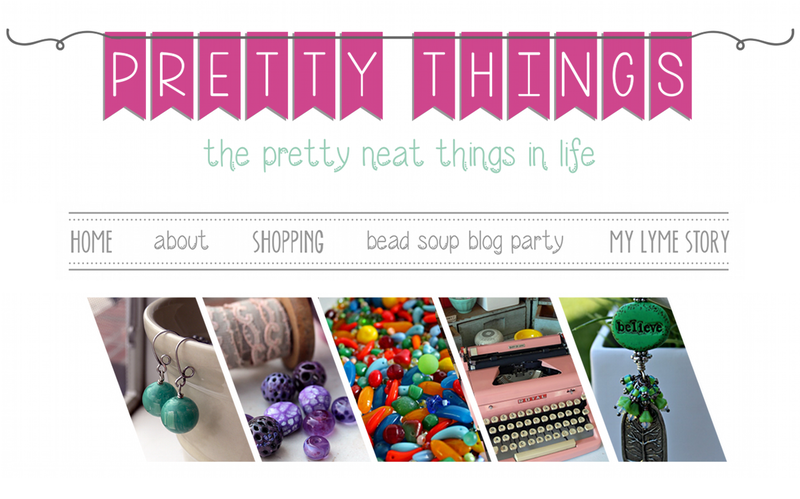 Pretty Things: Need some handmade inspiration for holiday beading? Here you go! Need some handmade inspiration for holiday beading? Here you go! 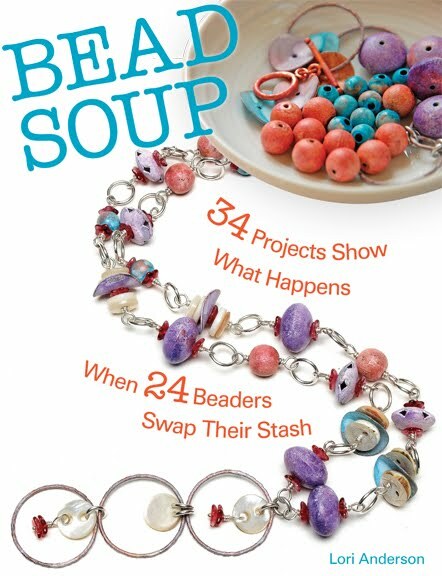 By NO means is this the entire catalog of bead makers I love. I love so many and have tried over the past ten years to buy at least one thing from each of them. Buying handmade is so much better when you consider you're helping support someone else's dream, of making a business making pretty things. You, after all, are probably in the same business! There's SUCH a difference between handmade and factory "handmade" in sweat shops, and having visited a sweat shop in Korea (they make blankets and quilts), I have a strong aversion to the working conditions that happen. Not only that, friends of mine who are really good at what they do get knocked off, and often these knock-offs appear in large chain stores. If you see an obvious knock-off, please let the bead maker know privately. On occasion, they give a license to make such beads, but sometimes, it's just plain theft. OK, off the soap box, on to the pretties! By Earth Elements -- comes in various colors, too. 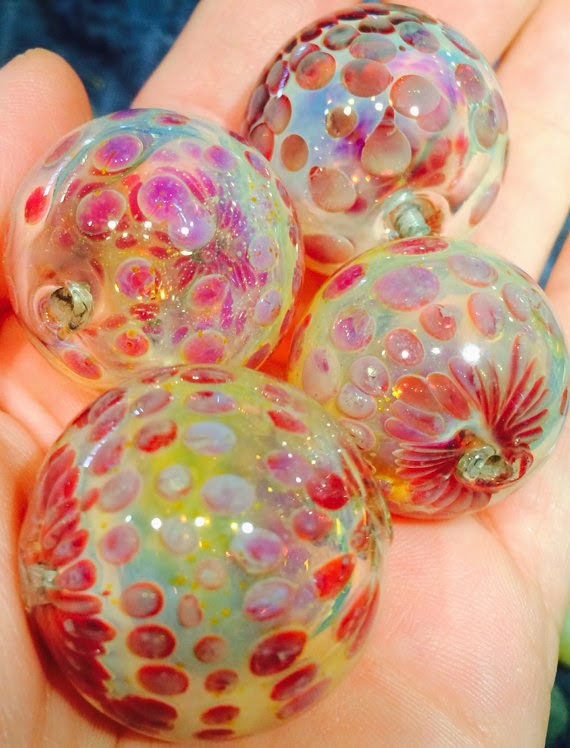 Keysha Koy hollow glass beads -- I love her work! 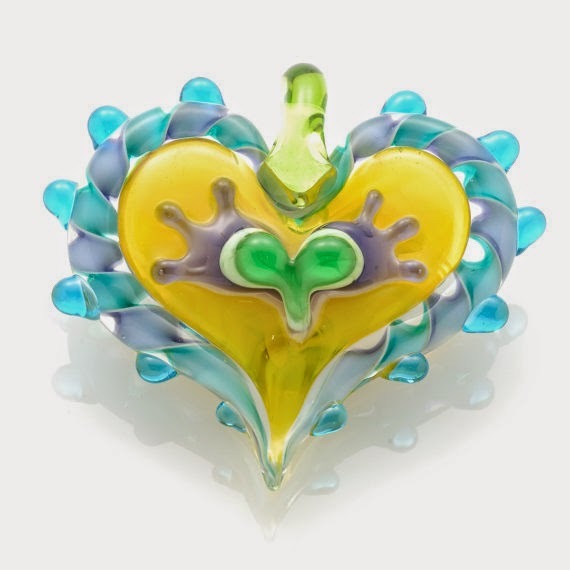 An all-time favorite lampworker, Stephanie Sersich, makes magic happen with glass. My collection from Round Rabbit -- originals all the way. Sign up to get a head's up when her things go on sale, because they go quickly! via Pikalda Beads - she has a ton of wonderful beads! This should whet your appetite! 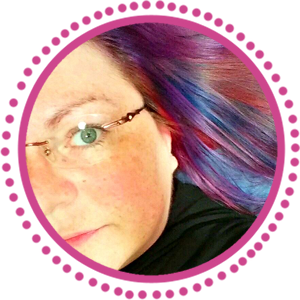 If you're participating in the Bead Hoarders Blog Hop on the 6th of December, I my have just become an enabler, making you buy more to add to your collections! But seriously. 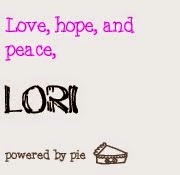 Whenever possible, support handmade! I don't need an enabler! 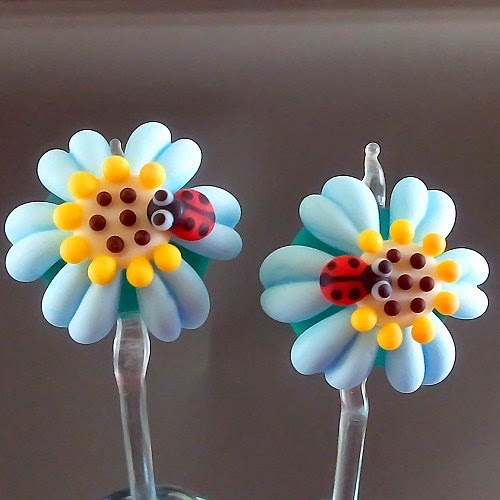 LOL Actually I think that it was you that first introduced me to art beads as I drooled over your designs. 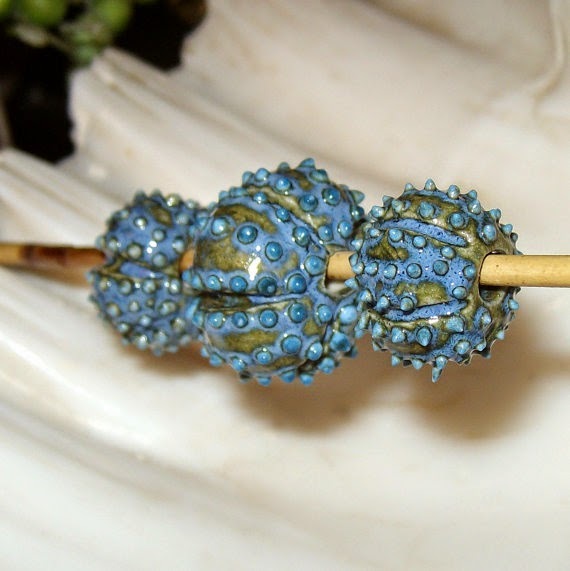 I have a set of the Earth Elements Urchin beads I am hoping to use for the Hoarders Hop! Love the pretties... specially the Urchin beads!!! So... what ARE the stories???? 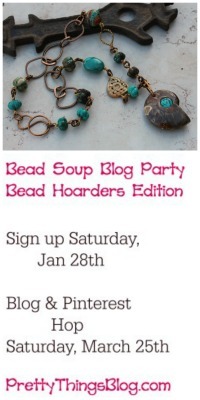 Ready for the 2nd Annual Bead Hoarder's Blog Hop?